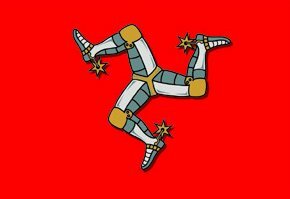 Readers of this blog who don’t live in the Isle of Man may find some of the information on this page helps with their understanding of some of the posts. In a nutshell, the Isle of Man is an island in the middle of the Irish Sea, it is equidistant (31 miles) between Ireland and the United Kingdom. The island is a Crown dependency, so in many ways is self-governing, but the UK Government does have the power to legislate for the island, but convention dictates it does not do so without the consent of the Isle of Man Government. But the threat could always be made. The Ministry of Justice in the UK Government has a division which has responsibility for representing the Isle of Man’s concerns. We are part of the British Isles, but we are not part of the UK. Nor are we in the European Union, although we do have a trading relationship. Relations betweeen the Isle of Man and the UK are generally friendly, but there has been strain of late due to the fact that the UK imposed changes to the VAT revenue sharing agreement which led to a huge cut in the island’s share. Coupled with the global economic crisis, that’s led to a lot of belt-tightening and the prospect of some quite severe cuts in public spending. The offshore status of the island brings a lot of attention and attempts to show the island is not as regulated as it could be, but so far the Manx Government has, in the main, been able to stand its corner. However, offshore islands can become easy targest for larger governments trying to deflect attention from their own failings, such as David Cameron who criticised the Channel Islands until it was pointed out lots of his friends were using the loophole he didn’t like. There is also a recurring debate about whether the island should seek full independence. It’s not something the current government, nor the majority of business based in the island (many with strong UK links) particularly want and, in my view, such a move would hold little benefit. Part of the argument for independence is that the UK Government often acts like a bully towards the island, but the chances are that if its constitutional requirement to look after our interests was removed, there would be no restraint. We have some claims to fame. Firstly the Manx parliament – Tynwald – is the oldest continuous parliament in the world, at more than a thousand years. Whereas the Vikings, when they invaded other places, didn’t always maintain the best reputation, in the Isle of Man they brought along democracy and also spread the gene pool beyond the Celts. Tynwald, by the way, has two branches. The House of Keys has 24 members who are popularly elected and there is an upper chamber of the Legislative Council, that is elected by the MHKs. We also have 24 local authorities, which is far too many for a population of 84,000 but every time attempts are made in the branches of Tynwald to reduce the number of authorities, those MHKs who represent the areas adversely affected tend to get cold feet. We are, of course, home to the TT races. The toughest motorcycle challenge in the world around a 37.73 mile course based on what are, at all other times, public roads. There is the Manx Grand Prix too, which takes place later in the year on the same course, plus the Southern 100 motorbike races near Castletown. Not to mention the annual World Tin Bath Championships which take place in Castletown harbour. The island has produced a few famous people. Hall Caine was the leading author of the day at the turn of the 19/20th century and his book The Manxman, a potboiler if ever there was one, also happened to be the first film ever directed by Alfred Hitchcock. More recently, the Gibb brothers who became the BeeGees were from the Isle of Man. And Samantha Barks, who is about to become a big name globally with a major role in the film production of Les Miserables (following a successful stint in the West End), is from here. Sport wise, we can lay claim to two of the world’s best cyclist. Mark Cavendish, who is already a Tour de France legend and current BBC Sports Personality of the Year, and Peter Kennaugh, an Olympic gold medallist. We’ve also got horse trams running along the seafront in the island’s capital, Douglas, the massive Lady Isabella water wheel turning above Laxey, some of the best scenery you could ever hope to find, definitely among the best cheeses you could taste, and cats without tails. On top of that, we get two extra public holidays per year compared with everyone in the UK. And that’s the Manx flag at the top of the page. If you haven’t been here, you should pay a visit.